The conviction of the deported British cleric Abu Hamza by a court in New York highlights once again the double standards of the British criminal justice system in dealing with Muslims. 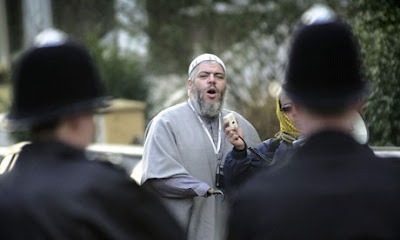 Abu Hamza was one of series of Muslim terrorism suspects to be removed to third countries when it became clear that a prosecution could not successfully be brought at home. IHRC believes that the process of transferring suspects to prosecution-friendly jurisdictions amounts to ‘justice shopping’ in which officials seek out countries where lower evidence thresholds apply or where defendant’s rights are not as robust. Today’s remarks by the PM David Cameron appearing to criticise our commitment to the European Convention on Human Rights for making deportations difficult confirms this belief. Other Muslims to have been recently deported to the US include Talha Ahsan and Babar Ahmed. The British government also went out of its way to deport Abu Qatada to Jordan last year despite reservations about whether he would receive a fair trial. Despite a guarantee obtained by the British government that Abu Qatada would be tried by a civilian judge Jordanian authorities appointed a military judge. It must be remembered that the offences for which Abu Hamza was tried in the US were allegedly committed while he was resident in the UK. Some of them including the alleged participation in a hostage-taking in Yemen even involved British citizens. It is a reasonable expectation and a fundamental principle of natural justice that crimes should be prosecuted in the country in which they are committed.